Most often, red dots appear in the cheeks and nose and can have different origins. For example, they can be a reaction to certain allergens, or to be evidence of capillary fragility. First of all, people whose skin is prone to red spots, dermatologists recommend to protect the face from irritation. So try not to be exposed under sunshine, do not SuperCool and not to overheat. Also, try to give up Smoking and alcohol, as well as from the excessive use of spices. 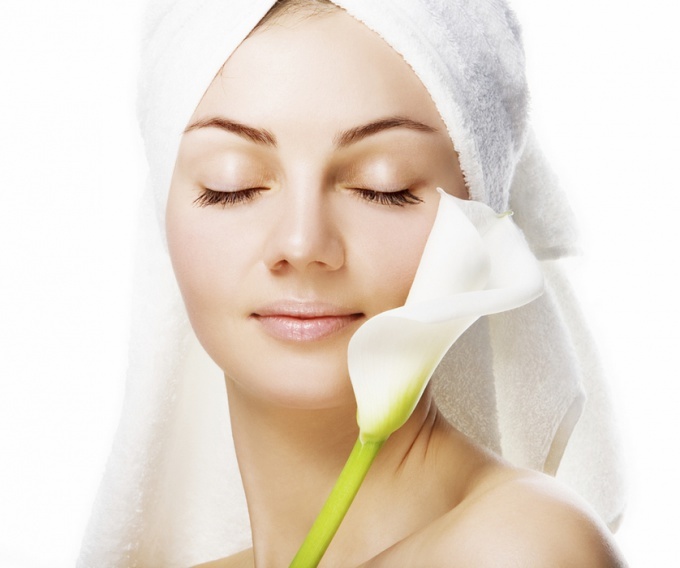 For skin care face , do not use cosmetics that contain alcohol or components that can cause irritation to the skin. Also, you should avoid contact with face care products for hair, for example, lacquers or sprays. To conduct deep cleaning is carried out the peels with a small table or sea salt. If the dots appeared after acne, then one of the most effective tools are masks and tonics. For example, you can make a mask of white clay or make a mask by taking 1 teaspoon of honey and cinnamon. You can also make a mask with green clay with a few drops of rosemary oil. Very useful washing the face with herbal decoction. For example, pour 2 tablespoons of dried crushed St. John's wort, a glass of boiled water daily and wipe the skin with this decoction. If the red dots appear with a certain frequency, it may indicate allergies. In this case, no treatment will help to get rid of them until, until will not be excluded the product that was the cause of the Allergy. For this you need to consult an allergist. Also, red dots may appear due to various diseases. The most common cause of diseases of the gastrointestinal tract or liver. In this situation it is necessary to drink teas made from calendula and chamomile. They can appear and due to hormonal imbalance, so you may need to consult an endocrinologist or gynecologist. Red spots on the face are rather unpleasant cosmetic defect. The skin always reflects the inner state of the organism, and often a manifestation of something is the appearance of such spots on the face. Causes of red spots quite a lot. In addition to the red spots on the face allergies may be sneezing, watery eyes, eye itching. In many people, the manifestation red spots on face causes panic or confusion. In this case, it is necessary to recall the moment of appearance of spots. Maybe they appeared after taking a shower, long exposure to the sun or after a workout. Spots may appear later acne ( acne ). Allergies. It is one of the main reasons why red spots appear suddenly and without any apparent reason.